MEN LIKE MILLER: Jail overcrowding affects this unnamed man much as it did Dennis Boyd Miller, the convicted murderer who filed suit against the county 27 years ago for violating cruel and unusual punishment protections. Little has changed in the jail since, and Miller's lawsuit-shepherded to this day by attorney Robert Sanger-is still alive and standing as the legal impetus for fixing the problem. Santa Barbara County has been awarded a $56.3 million grant by the Correction Standards Authority (CSA) to build a new jail in North County. In order to receive the grant, the county had to commit to partnering with San Luis Obispo and San Benito counties in building a re-entry facility in Paso Robles, where inmates whose prison sentences are coming to an end will go to receive counseling and support as they prepare to once again become members of society. The facility will be run by the California Department of Corrections and Rehabilitation. 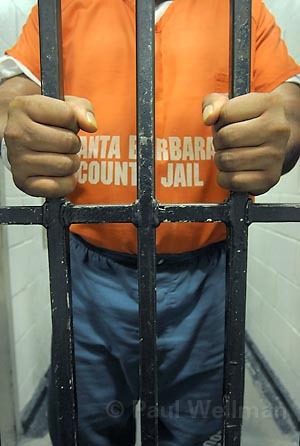 “[Thursday’s] CSA action puts us one step closer to resolving the ongoing crisis of jail overcrowding in Santa Barbara County,” said Sheriff Bill Brown in a statement. The county had already received the award tentatively, but Thursday’s meeting sealed the deal. This means plans – and ideas on how to raise the annual costs of the jail, estimated to be about $15 million per year – for a 304-bed facility can go forward. Various agreements will need to be reached between the three counties and the state before it all happens, and Brown will be back in front of the Santa Barbara County Board of Supervisors soon to discuss the situation with the county’s leaders. 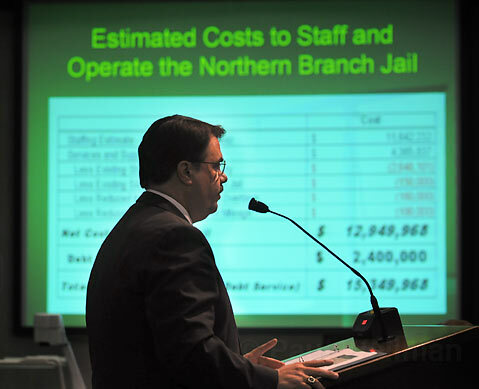 Change in plans: Sheriff Bill Brown won't see a joint jail and reentry facility in the North County. Instead, new plans call for the reentry facility to go to Paso Robles, while the $80 million jail would remain in North County. One of those steps – that the Paso Robles City Council agree to host the re-entry facility in their city – seems to be going forward, as that council voted Tuesday in support of the project, so long as the three counties and the city are all in agreement with how the facility’s operating procedures work and impact the surrounding area. One of the major issues, Brown has said, is that inmates returning to society not be released in Paso Robles, but transported to their home county and released. The re-entry facility – key to Santa Barbara County getting its funding for a new jail – is intended to rehabilitate prisoners to cut down on recidivism rates. The program is “designed to reduce the number of persons who need to be incarcerated in our jail system,” Brown said. The state already owns land in Paso Robles, at the site of a former boys school. The process is also expected to provide a financial stimulus to the county’s economy, through construction and on an annual basis. The county was one of eight counties to follow through the process, out of a total of 12.